Dr. Jessup is was professional, precise, and pleasant. He listened to what I had to say. He explained everything clearly.He made sure all my questions and concerns were addressed. Also, I was able to schedule the next phase of my treatment right then and there, and within a week from my original appointment. Dr. Jessup is was professional, precise, and pleasant. He listened to what I had to say. He explained everything clearly. He made sure all my questions and concerns were addressed.Also, I was able to schedule the next phase of my treatment right then and there, and within a week from my original appointment. I was asked to come in early and I was seen very quickly. Dr Jessup thanked me for coming in earlier.It was a very pleasant experience. I was asked to come in early and I was seen very quickly. Dr Jessup thanked me for coming in earlier. It was a very pleasant experience. 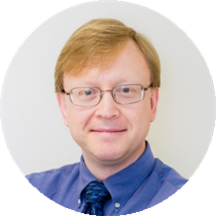 Todd Jessup is a skilled and competent gastroenterologist serving the community of Rock Hill and Port Jervis, NY. Dr. Jessup obtained his medical degree from Georgetown University. He completed his residency as well as an internship in internal medicine at Dartmouth-Hitchcock Medical Center. Additionally, he completed his fellowship in gastroenterology at UMass Memorial Medical Center. Dr. Jessup is a part of Crystal Run Healthcare. He is a board certified physician specializing in gastroenterology. Dr. Jessup enjoys being a gastroenterologist because the specialty covers many different organs, which keeps things varied and interesting. Dr. Jessup is dedicated to helping patients receive the treatment they need so they can enjoy a positive and fulfilling lifestyle. He is deeply committed to the well-being of his patients. He takes a thorough and precise approach to his consultations to ensure that he is consistently giving accurate diagnoses. Great! Professional, kind and thorough. He is always professional and personable!